Local builder Chris Toshach has been actively building in the Darling Downs region for 25 years. His reputation as a trusted builder of quality homes has come from his many satisfied clients. 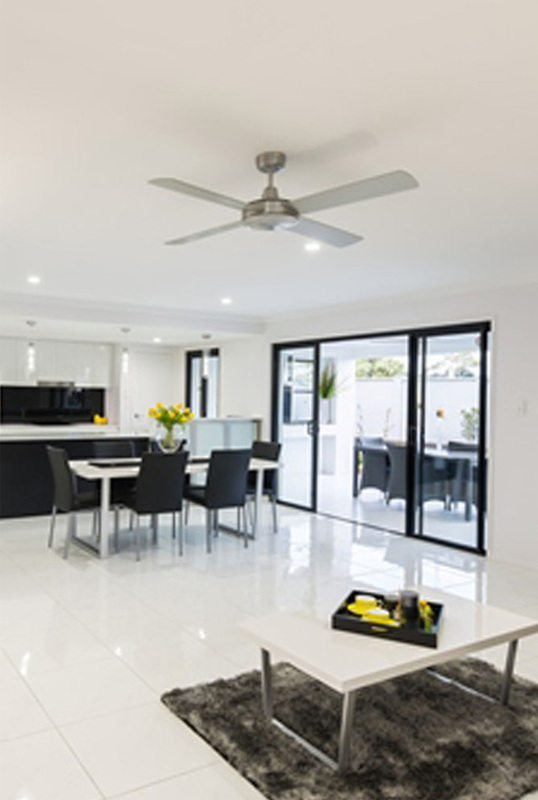 Chris believes that using local Toowoomba builders, experienced tradesman and respected engineers and certifiers is essential for producing the consistent quality of finish seen in all X Factor homes. Where possible Chris sources local suppliers of national building product companies who provide quality materials at the most competitive prices available. 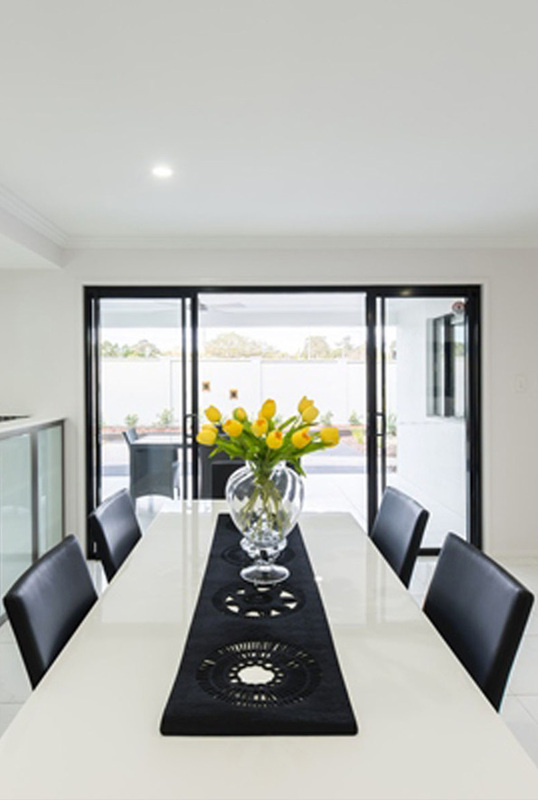 At X Factor Homes we provide to you the highest quality fixtures and fittings so that your home will look and feel luxurious and be a pleasure to come home to. Its the little details that are so important to creating an overall look and feel of high quality - from our comprehensive foundations, right through to the external and internal finishes - all 6 star inclusions for no extra cost! Council fees & charges to PS Amount $2750. Standard house plans by qualified designer. Soil test, foundation design & contour plan by engineer. Portable long service leave levy. Comprehensive works insurance during construction. Non return valves to external taps. Work health & safety notification & levy. Traditional concrete slab & footing system inc Patio & Alfresco. Steel reinforcing type m allowance. Concrete quantity to type m allowance. Concrete pump PS Amount $1000. Site earthworks PS Amount $660. Single phase power connection up to 10m underground. Sewerage connection point up to 10m from slab. Stormwater to connection point up to 10m from slab. Cypress pine wall framing (termite resistant). Physical termite barrier to perimeter & penetrations. R 3.5 ceiling insulation batts. R 1.5 exterior wall insulation. 5mm grey tinted, powder coated aluminium windows & sliding glass doors with key locks, primed fj pine reveals, translucent glass to bathroom ensuite and toilet. Flyscreens to windows & sliding doors. 2 Coax tv points with cable to ceiling only. 2 Phone points not including connection. Single phase to switchboard with 2 safety switches. 23 Light points, 20 Double & 4 Single Power Points, 1 single weatherproof point. Interior & exterior house clean prior to handover. Ceramic tiles to exterior door sills. Rheem Electric Hot water System 315 ltre. Two external hose taps (1 tank & 1 town). 5kl poly tank on dust pad with auto changeover pump. One garden drain pit 250mm x 250mm. Boral bricks, natural mortar, selected ranges. Colourbond; custom orb roofing, fascia & 150mm quad gutter, 3 fold or roll top barge capping. Natural concrete to Porch, Patios & Verandas. Sectional Powdercoated garage door 2.1m high X 4.8m wide with 2 remote controls. Front door PC Amounts $550 per door & $250 per sidelite. Schlage entrance lock & double cylinder deadlock, selected ranges to Front door, Keyed alike entrance lock to Garage door. 3 coats of quality paint used externally where required. 7.2 kw reverse cycle airconditioner. Moulded panel internal doors with primed fj pine jambs. Moulded panel internal sliding doors to robes & linen cupboards. Selected range of schlage architectural door handles. Melamine shelving to robes inc 1 top shelf, pigeon hole & hanging rail. 4 Shelves to linen cupboards, 1 shelf to broom cupboards. Primed fj pine 42mm x 11mm architraves, 68mm x 11m skirting. 90mm Cove cornices (55mm cove to robes linen & pantry). 3 Coates of quality paint – including primer/sealer undercoat. 45 litre stainless steel inset laundry tub. Laminate finish to cabinetry & benchtops PS Amount $. Wall oven tower with microwave provision. Overhead cabinets with slide out GEH 6014 ss rangehood. (no overheads to fridge space). Baumatic BaCE 6004 ceramic glass cooktop. Baumatic Bao 65, multi function oven. 1+3/4 Stainless steel sink with gooseneck mixer tap. Moulded panel pantry door to match other internal doors. 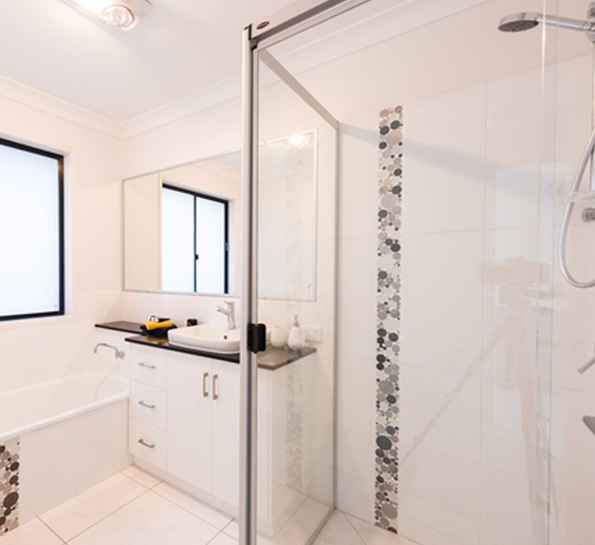 Wet area wall & floor tile PS Amount $33 per m2. Laminate vanity cabinets & tops including one bank of drawers to each vanity over 1000mmm wide PS Amount $. Ceramic designer style vanity basins. Laundry top & cabinet laminated PS Amount $. 1700mm dura pressed steel bath tub. 1350 mm corner spa if shown on plan. Clear glass, semi framed, pivot shower screens. Framed mirrors above vanities. Full length of vanity top. Dualflush toilet suites with ceramic cistern. AAA rated mixer tapware & 4 function shower rails,one to bathroom and ensuite. Two heatlamp /light /exhaust to bathroom & ensuite. Exhaust fan light to toilets as required by the BCA. One double Metal towel rail to bathroom and ensuite. Guest towel holder to laundry and powder room. 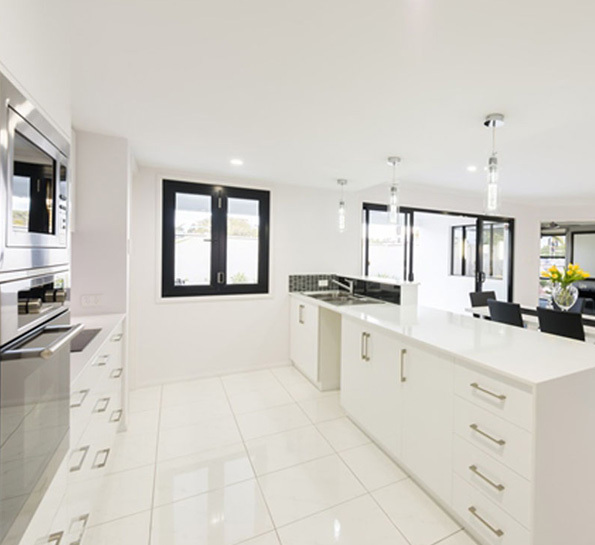 At X Factor homes we are dedicated to building lifestyle solutions for everyday living. We listen to our client’s desires and ideas and make recommendations based on years of building experience in the local Toowoomba region. This enables us to create new home designs that will be a pleasure to live in and make you truly proud to own. 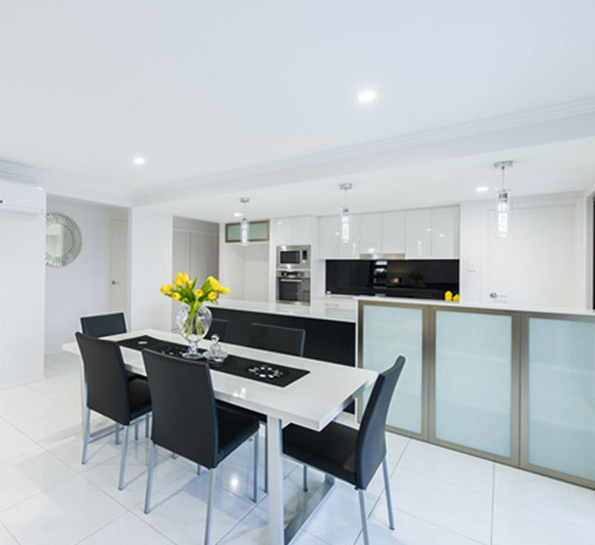 By dealing directly with the home building team it allows us to design and build homes to suit your lifestyle. 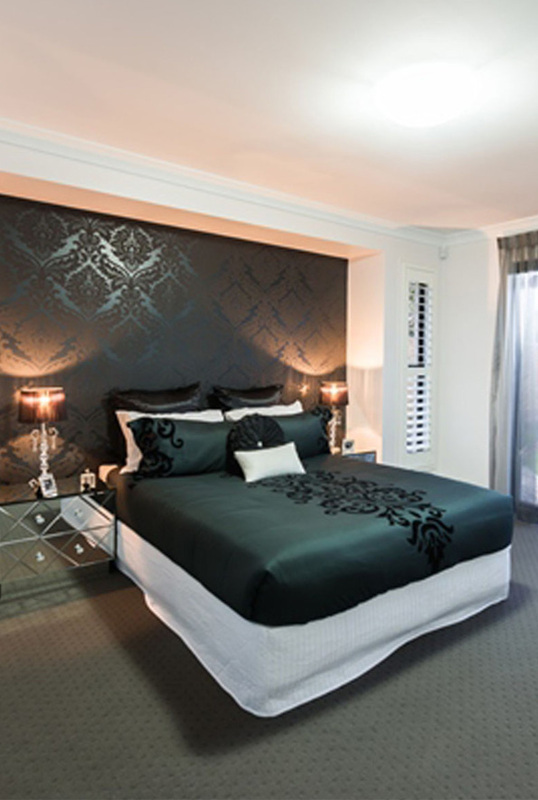 Speak to our Toowoomba Builders today on 0418 716 921 to get started.